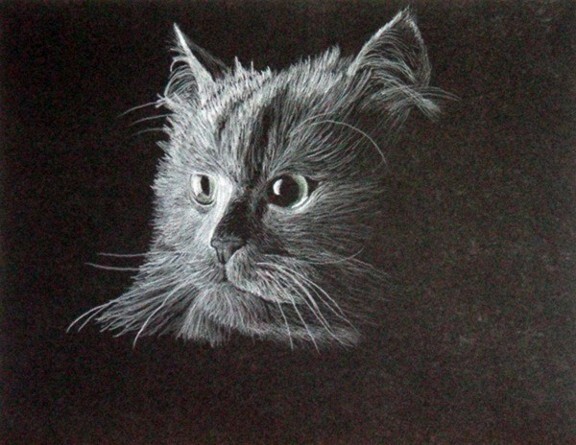 White pencil on black paper, and my first attempt at this. I’ve had lots of compliments on it so I guess it turned out. The original is 8 1/2 x 11 and available for $80.